Size: approx. 10 mm. Photo: 08/12/11, 10 am. 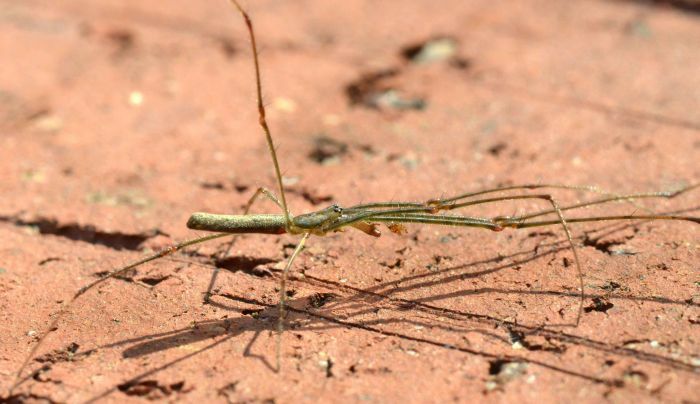 This Longjawed Orbweaver belongs to the genus Tetragnatha which has 15 species in North America. The species can be distinguished only from features such as the distance between the medial and the lateral eyes and the "lack the first distal, long tooth". They spin horizontal and circular (orb) webs, often directly over open water surfaces. This specimen had a body length of approx. 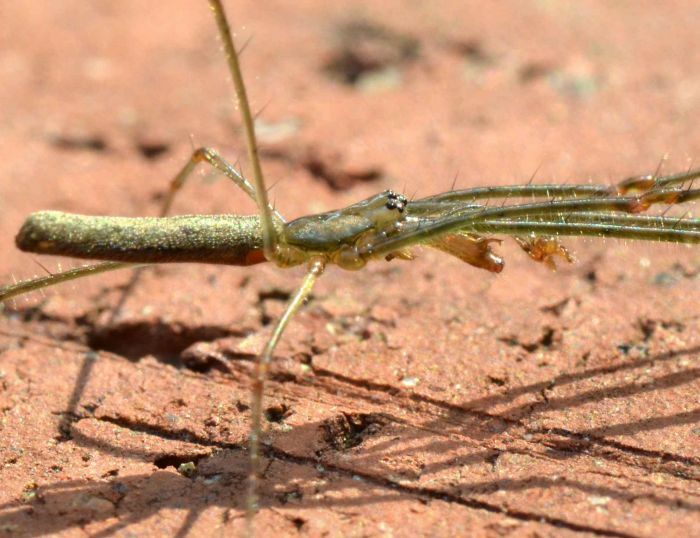 1 cm but the legs were much longer (see small photo below).